People are quick to throw this phrase around when their favorite show gets cancelled or after a bad day. But people who suffer from clinical depression, also known as major depression, are dealing with much more than sadness. They may experience a deep feeling of hopelessness that persists for weeks. It is all-consuming and often starts to have a negative effect on their normal activities and relationships. Other symptoms can include fatigue, feelings of worthlessness, impaired concentration, insomnia, and recurring thoughts of death or suicide. Depression can also manifest itself in physical ways: significant weight loss or gain, headaches, digestive disorders, and chronic pain. There is even mounting evidence that depression can take a more serious toll on physical health, in the form of stroke or coronary artery disease. People who are suffering from untreated clinical depression may feel unmotivated to take care of their health, follow doctors' orders, or attend healthcare appointments. If you know someone who is struggling with depression and may not be caring for themselves mentally or physically, it's important to choose your words wisely. "You should be grateful for what you have." This type of advice is not beneficial and could possibly cause harm, leaving your friend to feel even more misunderstood or stigmatized. What may seem irrational to you is reality to someone who is depressed. They do not have a choice to "just feel better" because they may have a chemical imbalance in their brain which they cannot control. "Would you like me to go with you to an appointment?" Depression is so disorienting that it can make even the most commonplace daily tasks seem insurmountable. Just letting someone know that you're there to listen (without prying) or take a chore off their hands (without judgement) might mean the world to them. Encouraging a friend or family member to seek treatment can be awkward, but offering to accompany them to an appointment, whether a therapist, primary care physician, or even just the pharmacy, shows that you care about their wellbeing. It illustrates that you're being supportive and acknowledges that they're suffering from a medical condition, which isn't something one can easily shake off. Most primary care physicians can assess the physical symptoms of depression and make referrals for mental health care. In the Baltimore County area, there are several resources available to help residents treat depression. Call the Baltimore County Department of Health at 410-887-3828 or email behavioralhealth@baltimorecountymd.gov. The National Hopeline Network (www.hopeline.com) is a 24/7 national phone hotline specifically for people suffering from depression. 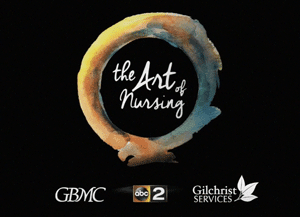 Did You Miss the Art of Nursing TV Special? In case you missed it, WMAR-ABC2 aired a 30-minute TV special on December 7 that featured GBMC HealthCare nurses! It took viewers behind the scenes to show powerful, real stories of patients and the nursing teams who care for them. Baby Josiah was born at 25 weeks’ gestation, weighing in at only 1.7 pounds. Follow him, his family and their care team on his journey. Join Delores Williams, RN, as she takes her usual trip to visit a patient suffering from stage 4 prostate cancer. Gain insight into the emotional work she does every day and the unique connection she holds with her patients and their families. The environment within the MICU is hectic and intense. Watch as Amanda Henderson, RN, cares for patients and shares her touching story about why she became a MICU nurse. If you weren’t able to watch the special on its TV air date, it is now available for you to watch here. Although it focuses on intensive care and hospice nurses, the special is reflective of GBMC’s organizational family as a whole and illustrates our vision of providing every patient, every time with the care that we would want for our own loved ones. Wash your hands when they are dirty, before eating, and after using the toilet. Do not cough into your hands. Do not sneeze into your hands. Above all, do not put your fingers into your eyes, nose, or mouth. Lather by applying soap and rubbing hands together. Remember to get the backs of your hands, between your fingers, and under your nails. There are some situations where you may find yourself without soap and water, but still need to wash your hands: food trucks, outdoor events like concerts, festivals, and fairs, or in emergencies such as water outages. Then what? Will hand sanitizer get the job done? The answer is yes if you use the SaniTwice method, developed by infection prevention specialists to help the military safely feed recruits in the desert when there is no running water. Towel wipe while hands are still wet. By following these simple steps for hand hygiene and sanitizing etiquette, not only are you preventing yourself from getting sick, but you're assisting in preventing epidemics and pandemics everywhere. 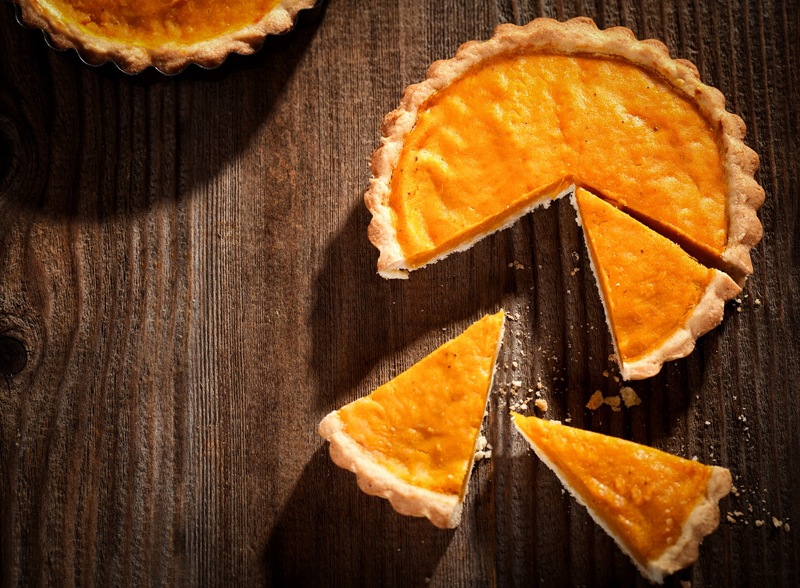 Bake for 45 minutes at 350ºF or until an inserted knife near the center of the pie comes out clean. Recipe retrieved from Stay Young at Heart provided by the National Heart, Lung and Blood Institute.